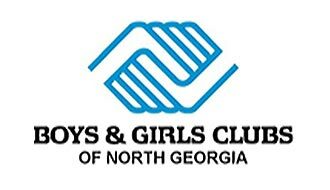 ​ELLIJAY, Ga. – Mountain View Elementary teachers and staff donated 93 toys to Family Connection. Pictured is Tina Watkins, our school counselor who organized this event. 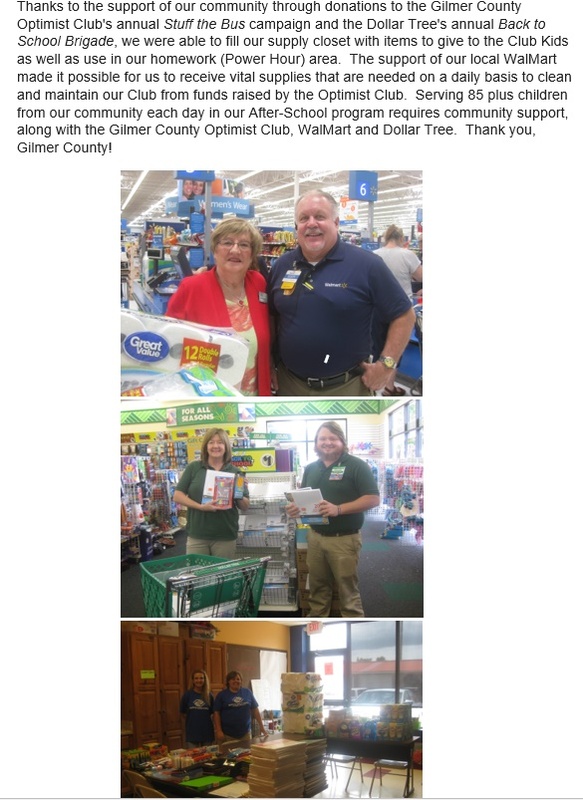 Also pictured is Mr. Larry Naylor, who assisted in getting these toys delivered to Family Connection where they will go out to families in our community. 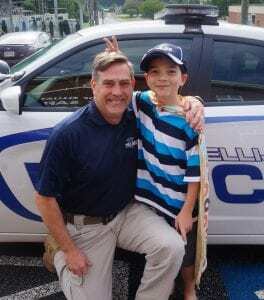 ELLIJAY, GA – A special visitor made his way to Ellijay today as he continues a cross country trip to thank Police Officers for their service. 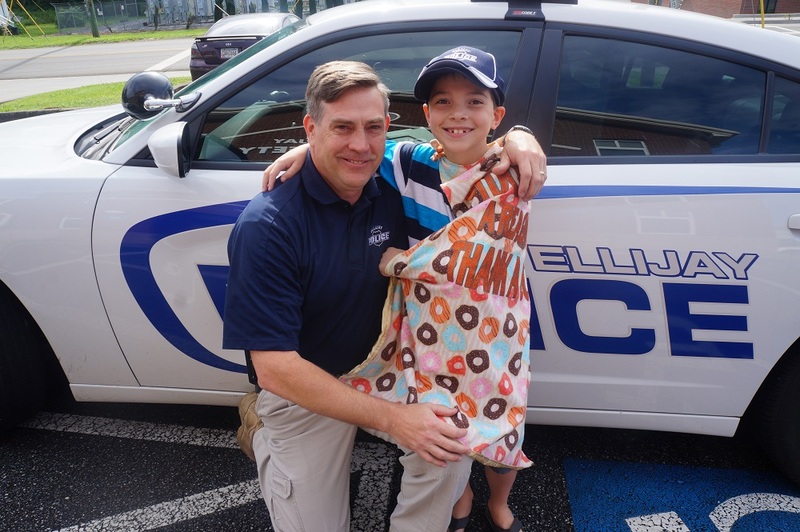 This time, 9-year-old Tyler Carach, the ‘Donut Boy’ as Police Departments and people across America have begun calling him, began traveling from Florida on June 26, and will continue all the way to New Hampshire before continuing his return trip home. Tyler began his project one day, according to his mother Sheena Carach, in Douglasville when they were in a gas station. Tyler noticed four deputies and decided to buy them mini doughnuts. Tyler receives a patch for the “Donut Police” after visiting Ellijay. Sheena tells FYN that he couldn’t understand why the officers were making such a big deal out of the snacks. 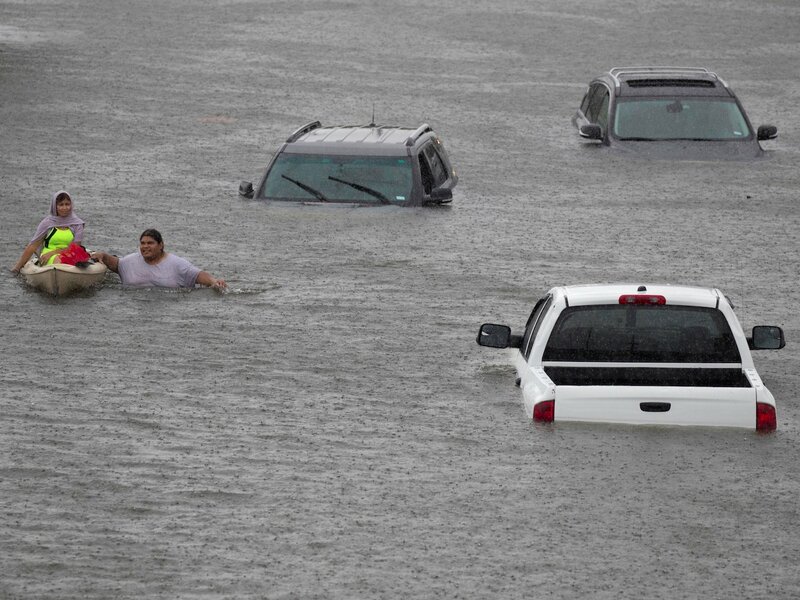 After explaining the atmosphere involving police in the nation today and telling him you cannot judge everyone by a few, Tyler promptly announced that he was going to buy every officer in America doughnuts to say thank you. “I’ve always taught them that if you believe it, you can achieve it. 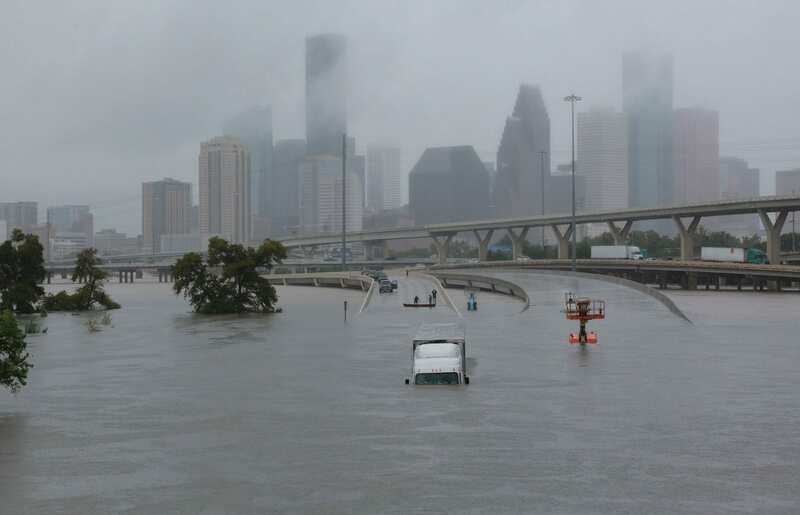 You are the only person in this life that can limit yourself,” said Sheena who helped Tyler by traveling to “local” departments in Florida, some three hours away. 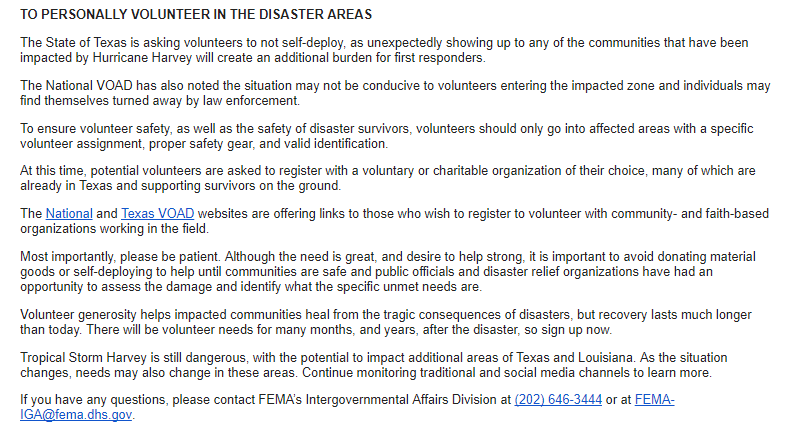 However, she very soon began receiving calls from all over the country including Oregon requesting Tyler to stop by. Tyler isn’t just receiving support from community and citizens in his quest, Sheena also praised her husband who travels for work, putting in long hours to support the family as well as Tyler’s dream. 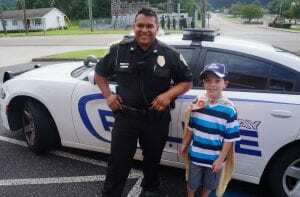 Tyler Carach, the ‘Donut Boy’ stopped into Ellijay just in time for July 4th to thank Ellijay’s Police Officers for their service and commitment. ALTAI, a company who sells Police Department approved boots, has offered a 2% donation of their profits to support Tyler as well as doughnut stores across America who donate and discount their products for Tyler and local officers. Ellijay’s Dunkin Donuts on 515 helped Tyler today by donating two dozen and discounting a third. Having already begun the paperwork, Sheena tells FYN that she hopes to turn the whole thing into a 501c3 (non-profit) organization so that companies like ALTAI and anyone else can continue to support Tyler and his movement for Police everywhere. Police Chief Edward Lacey stops for a comical moment during the ‘Donut Boy’s’ visit. The “I DONUT Need a Reason to Thank a Cop” campaign, and Tyler specifically, has been highlighted and noted numerous times across America, and was even invited to speak at National Police Week, the Georgia Chief of Police Conference, and even the Steve Harvey Show. The family decided to add Ellijay to their trip because a friend visited and spoke so highly of the town. Being in town since Friday, Sheena says she and Tyler have fallen in love with it as they have yet to meet anyone who wasn’t “just as friendly as can be.” Unfortunately, Tyler may not be in town much longer as “duty calls.” He will continue on to Augusta and then to Pigeon Forge in the next few days. A donated picture from Tyler’s Family of him trying on police gear. It’s not just a trip for Tyler, though. He wants to follow through to become a Police Officer one day. 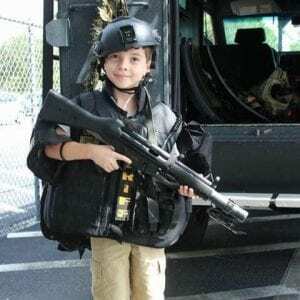 Although originally wanting to join SWAT, Tyler got a chance to try on the gear once and told his mother the gear was too heavy. Since then, he has switched to wanting to become a K-9 Officer instead. 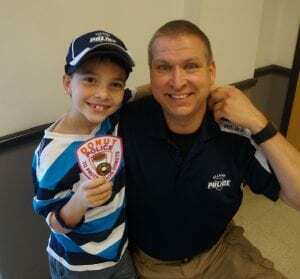 His visits exchange far more than doughnuts, however, Sheena tells FYN that Tyler has amassed a noteworthy collection of Police Department patches, hats, coins, and other various items from the Departments he visits. He also secretly leaves something more than doughnuts at the Departments, hiding painted rocks as a part of the connections to Pensacola Rocks, Ellijay Rocks, and numerous other communities he visits. Make sure to follow more with Tyler’s trip through his Facebook Page. 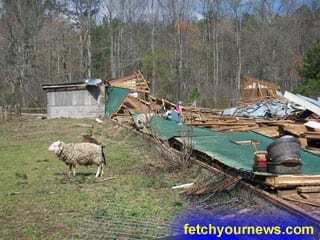 As Fetchyournews.com reported earlier this week, the Build an Ark Animal Rescue Center on Highway 382 West, southwest of Ellijay, was destroyed by Monday night’s storms. 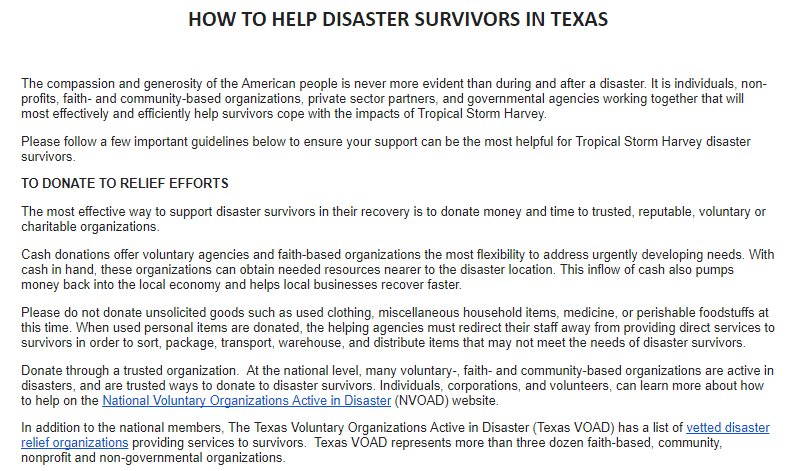 The operator of the center, Susan Littlejohn, has asked us to reach out to the local community for donations.